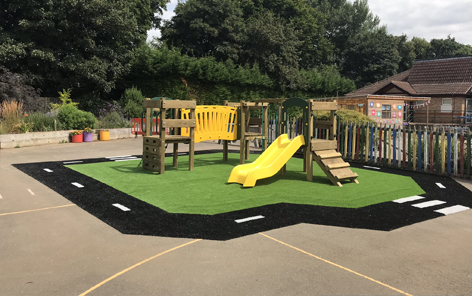 Having previously worked with Pelham Primary School who are part of the Pelham Academy Trust, Normandy Primary School were recommend to use our products and services to develop their Early Years area. 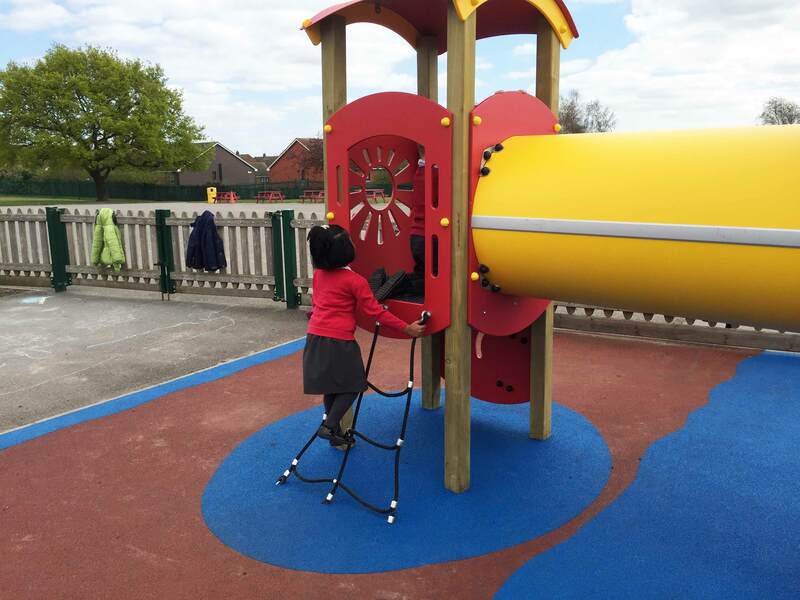 The Trust has two primary schools, including a Hearing Impairment Provision on the Pelham site. 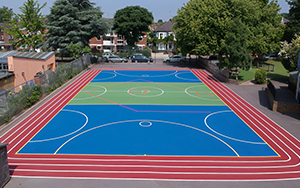 Originally, Pelham converted to academy status in 2013 and then became a sponsor in 2014 in response to the range of support it was giving to other schools. 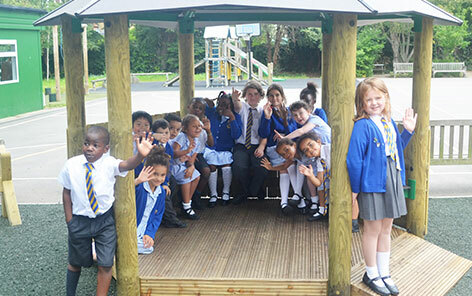 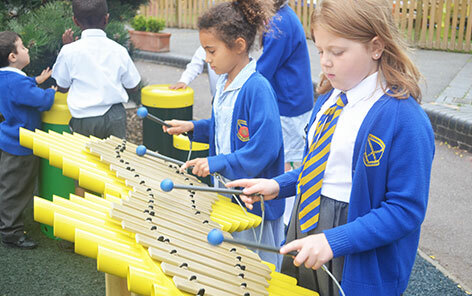 Normandy Primary School joined the trust in April 2014. 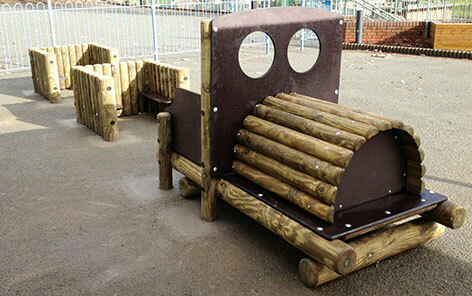 They were familiar with our products and services having seen the projects we had completed at Pelham Primary School. 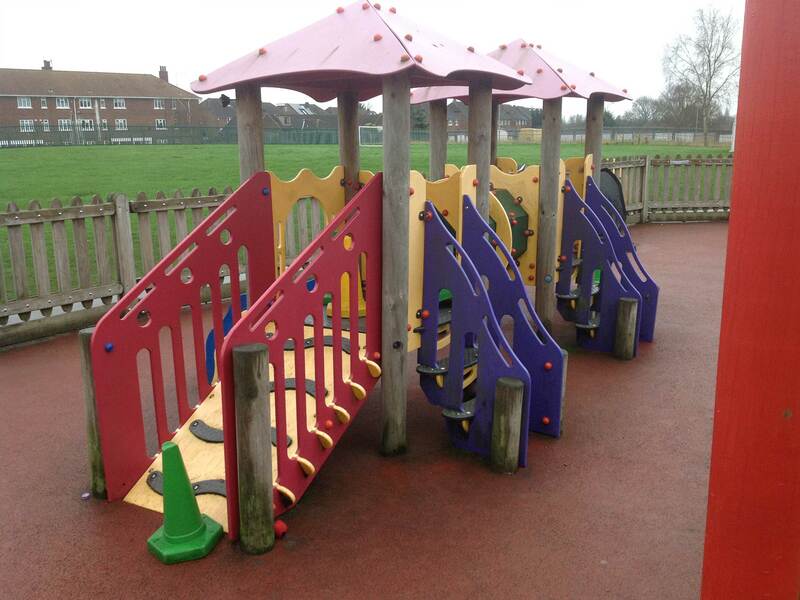 An existing unit within their area had been condemned and was now out of bounds for the children. 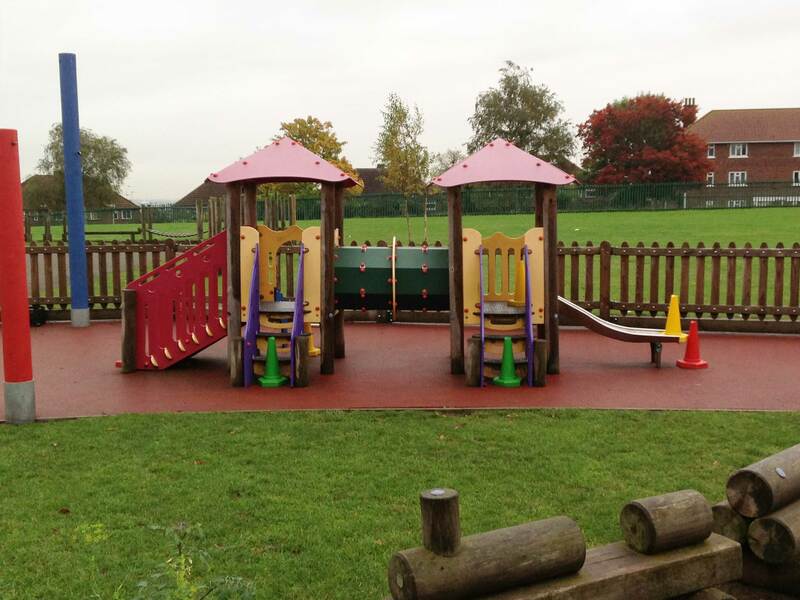 To start with we had to remove and dispose of this unit leaving us with a blank canvas. 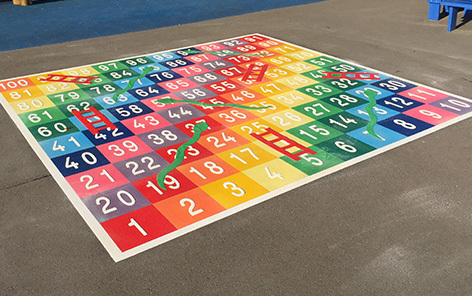 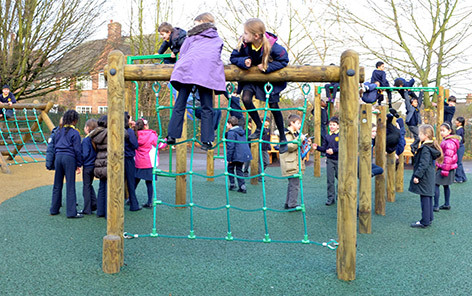 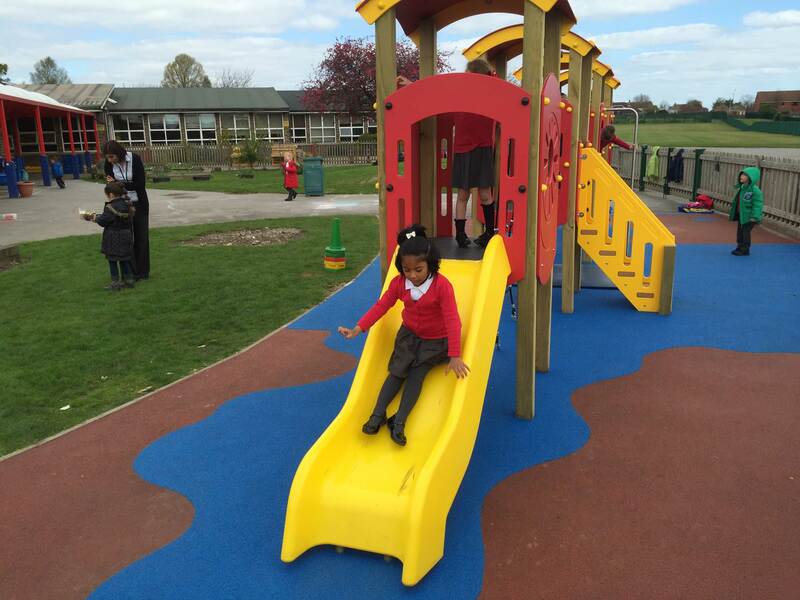 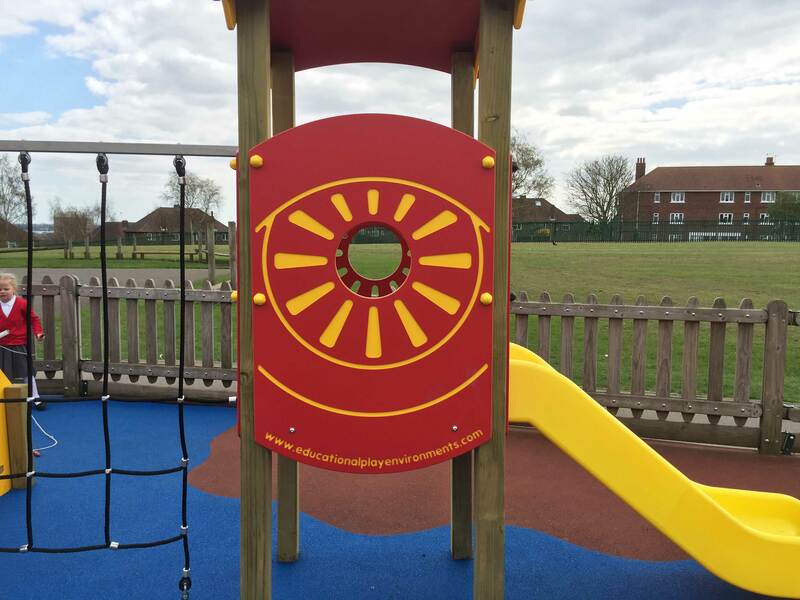 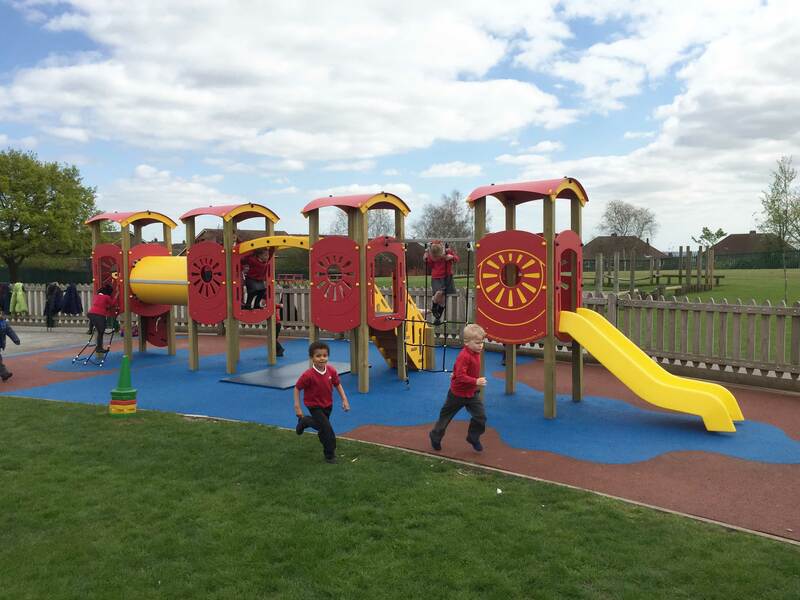 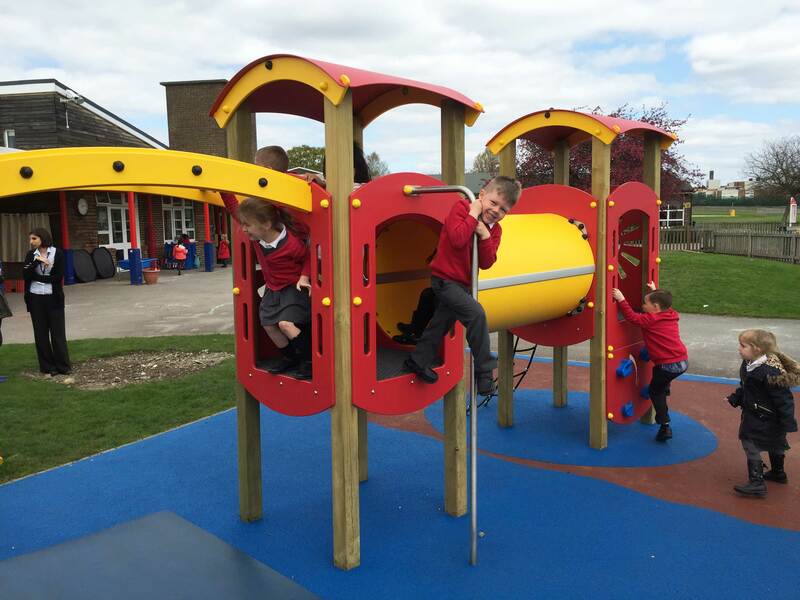 Using our Multi-Play Modules the school involved the children and created a completely bespoke unit tailored to their needs. 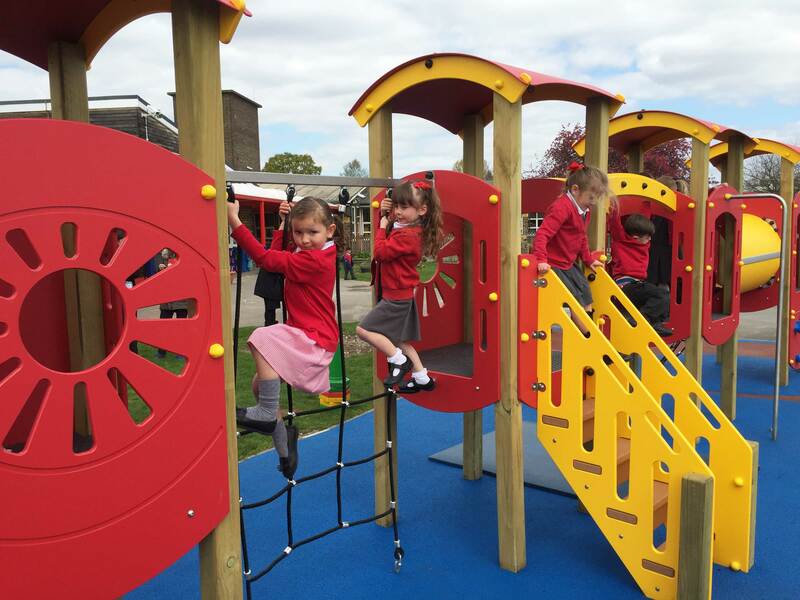 The new unit consists of 4 towers in a linear formation, including many different modules to help encourage physical activity. 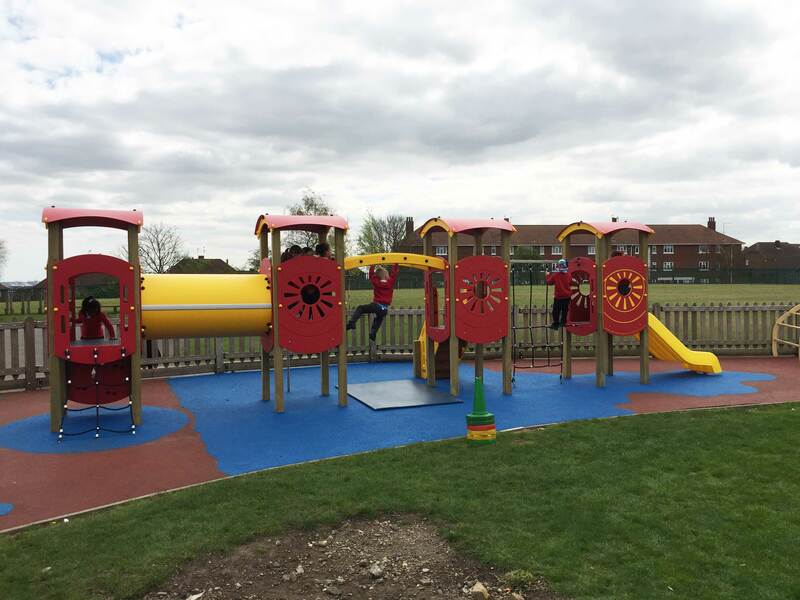 To add further customisation the equipment was produced in a red and yellow colour theme to match the school colours. 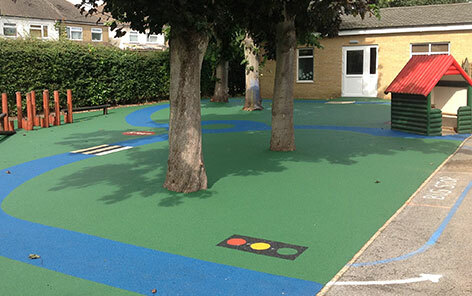 Due to the amount of removals this left the existing wet pour surface requiring repairs. 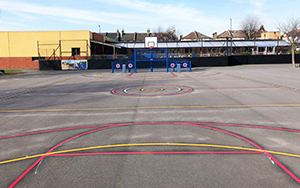 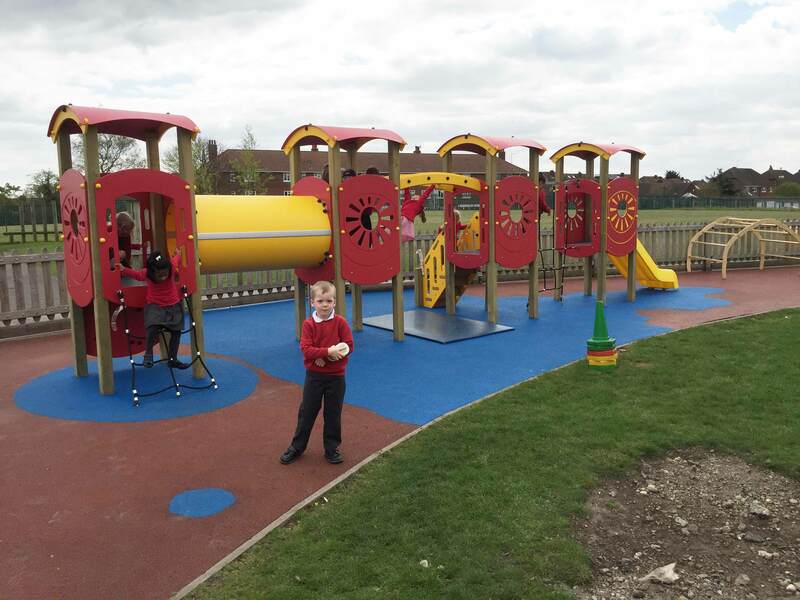 We installed blue wet pour safety surfacing making the area more vibrant and appealing for the children. 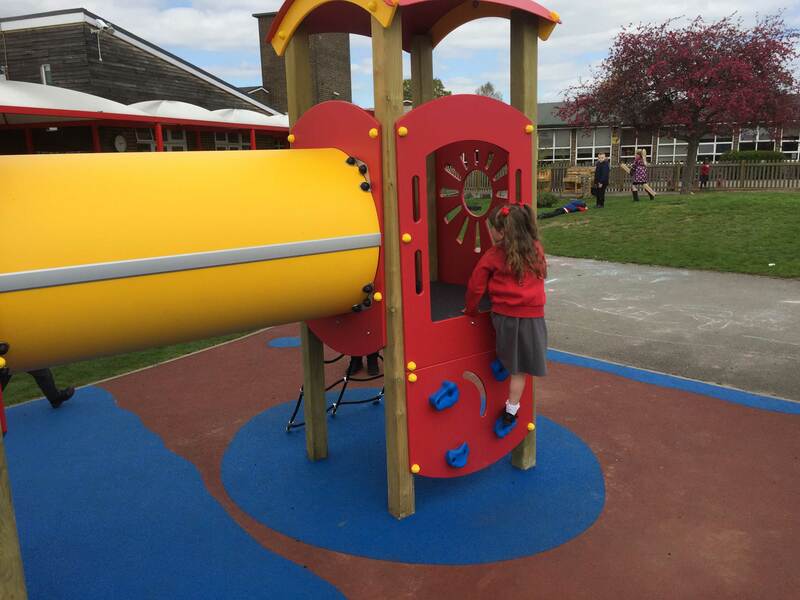 The new unit installed is double the size of the previous unit, offering incredible play value. 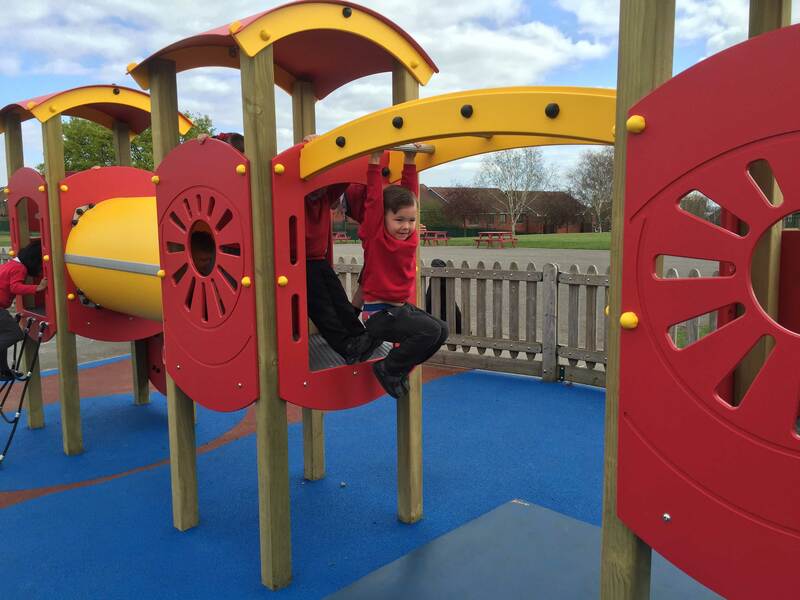 Various modules and links offer different challenges varying in difficulty to aid the physical development of the children.